One thing I didn’t mention in my weekly update was my sleep. 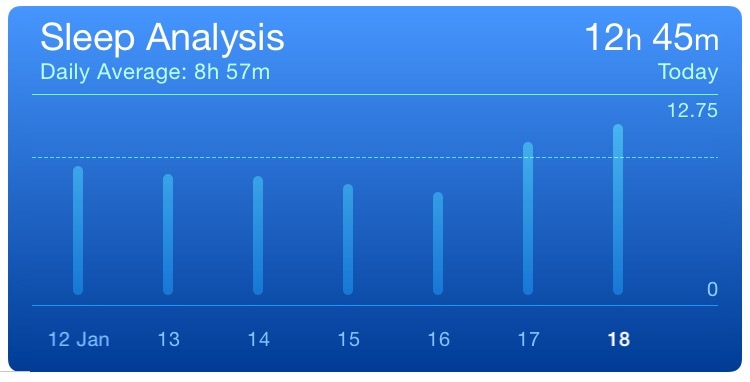 This last weekend, I’ve slept a lot. – 11 hours on Friday night. – An almost 2 hour nap on Saturday. – And another 11 hour sleep on Saturday night! 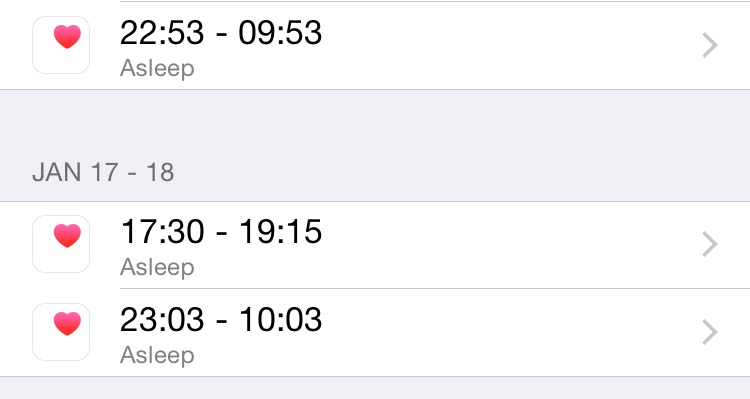 Around 24 hours sleep, out of 2 days, or 48 hours! 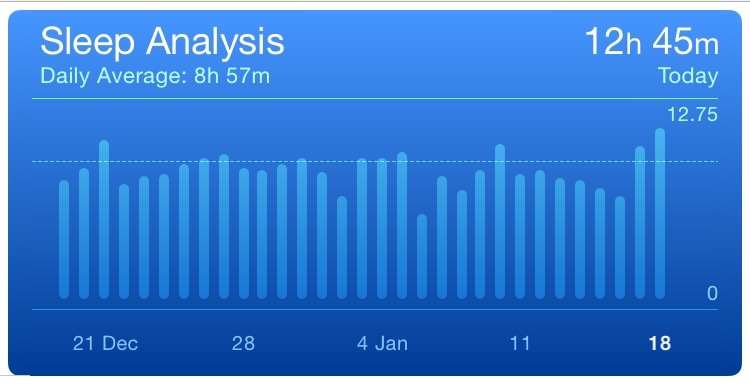 Ps: I’m using the Apple Health app to track my sleep.